The airport. A place full of promises where the world lays open at your feet, and the dreams move ahead… At the same time, one of the world’s most controlled places. Why do we, no questions asked, put up with its massive amount of rules and carefully execute every ritual as we pass through this system? 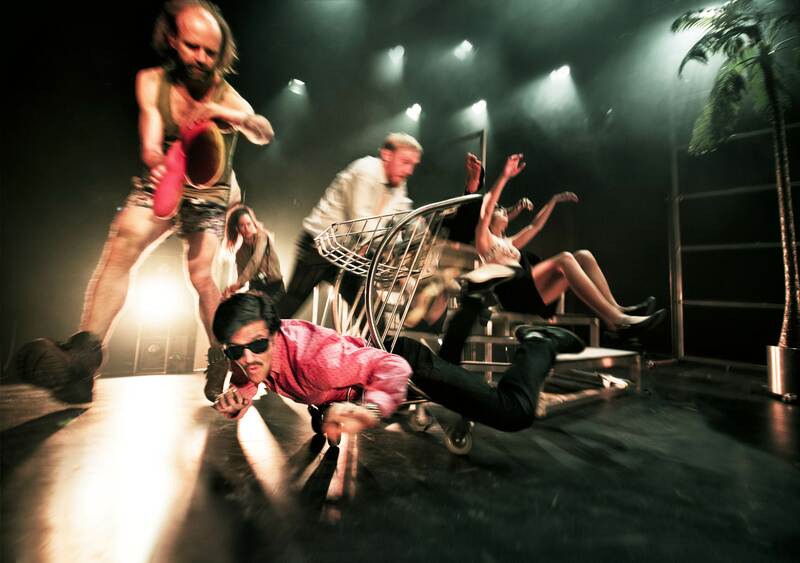 Director Kristján Ingimarsson puts the phenomenon ‘airport’ on stage, blasts it into atoms and poetically transforms it into a spectacular physical performance. In the signature expressive visual, humorous, and rebellious style of Kristján Ingimarsson Company, AIRPORT frames the odd circumstances that surround us from check-in to boarding and twists this very familiar setting and its physical and dramaturgical premises to the extreme in an illusory set that undergoes constant transformation. It is a performance that subtly explores the nature of illusion and dreams.